The holiday season is over and if the January blues are setting in, here is a list of the best pool party locations in sunny LA to start dreaming of summer fun again. The Mondrian’s pool is all about sophistication. 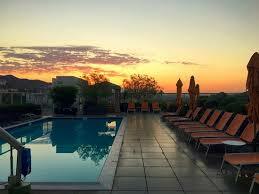 The gorgeous pool is the focus of the whole area with the upbeat soundtrack provided by the famed Skybar. Just throw some water entertainment in the pool, such as Aquabatix USA, and your high-end pool party will be the talk of Tinseltown. 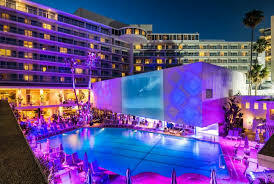 With beautiful views of the Pacific and iconic Santa Monica Pier, the Loews pool not only boasts amazing ocean and Santa Monica Pier views, but it also holds some of the best pool parties and events in Southern California. When the seasons change, the guests can warm up under blankets and by fireplaces to keep the party going. Standing high above the iconic intersection of Hollywood and Vine, the WET Deck at the W Hollywood offers stunning views of Hollywood along with some of the best pool party events in town. 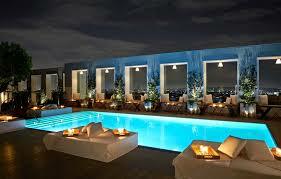 The W Los Angeles, situated in west Beverly Hills, had its pool created by celebrity designer Thom Filica. 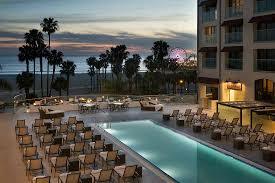 Both hotels offer their fabulous WET Decks out for corporate and private events, including film premieres. Overlooking the Hollywood hills and downtown LA, this rooftop pool and sundeck is the perfect pool party venue for both day and night. The Rolling Stones and Led Zeppelin certainly thought so back in the day! Whether you are holding a corporate event, a PR launch or a private birthday party, this pool and its breath-taking views, is suitable for all. 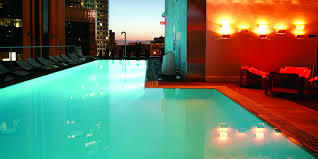 The iconic pool at The Standard Downtown LA, was voted in the top 10 hotel swimming pools in the world by Travel + Leisure. 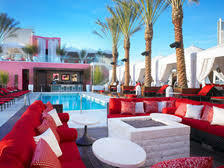 Situated on the rooftop, the outdoor pool has vibrating waterbeds alongside a cocktail lounge but extras like movie nights and DJs take “pool party” to the next level. Not to be outdone, there is also a funky pool at The Standard WeHo. The rooftop Altitude pool stuns with views of the city, ocean, and Hollywood sign. One of the poolside scene’s main draws, though, is the opportunity to order exotic libations and light bites by revered chef José Andrés. Add some entertainment and your pool party will be the talk of the town. 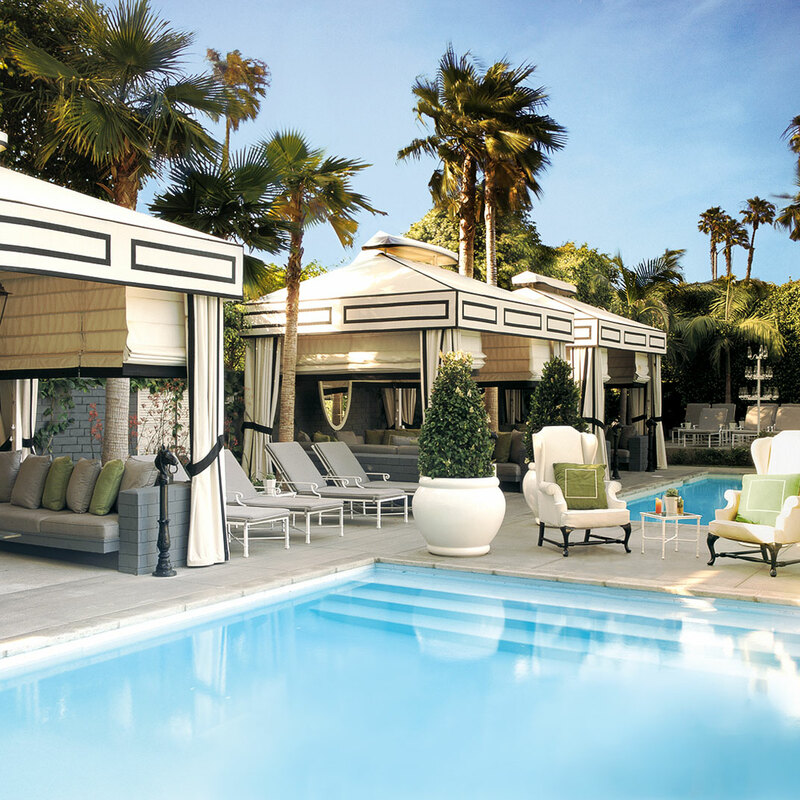 Classy and sophisticated, the Viceroy’s tree-lined pool, designed by Kelly Wearstler, lures an elegant crowd. Fantastic for private parties and well as corporate events and launches, this pool venue lets you breathe in the ocean air whilst you party away under the stars. Set above the Walk of Fame in Hollywood, the Roosevelt first opened its doors in 1927 and is the oldest continuously operating hotel in Los Angeles. The hotel even hosted the first Academy awards in 1929. 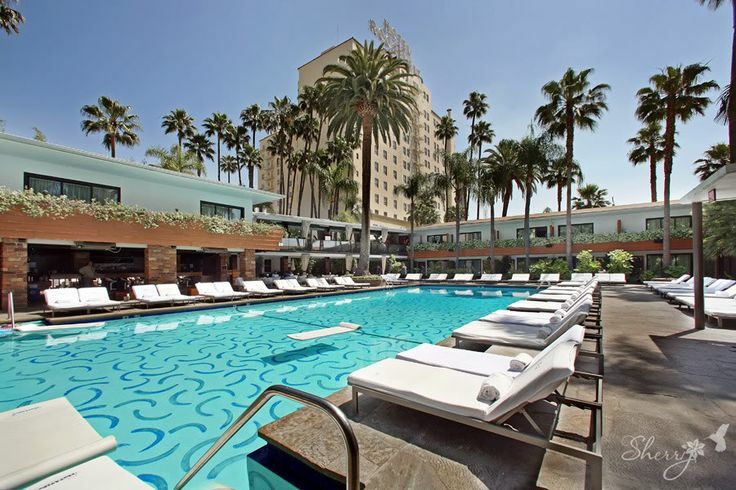 The pool, complete with a David Hockney mural, plays host to some of the biggest pool parties in Tinseltown. You can even pose by the pool like Marilyn Monroe, who did her first ever photo ad for a sun tan commercial there. 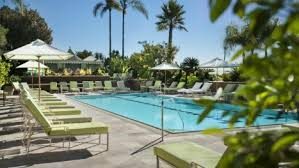 For a more tropical feel to your pool party, the Four Seasons at Beverly Hills would be the venue for you. With beautiful landscaping and a perfect water temperature, it lends itself to a more relaxed party vibe. With elevated, panoramic city views from this fourth floor pool deck, this pool certainly lends itself for the sun, mermaids or mermen and cocktails. Back in West Hollywood and exuding the WeHo party lifestyle, The Chamberlain boasts a rooftop pool with fabulous views of downtown LA and out towards the Pacific. 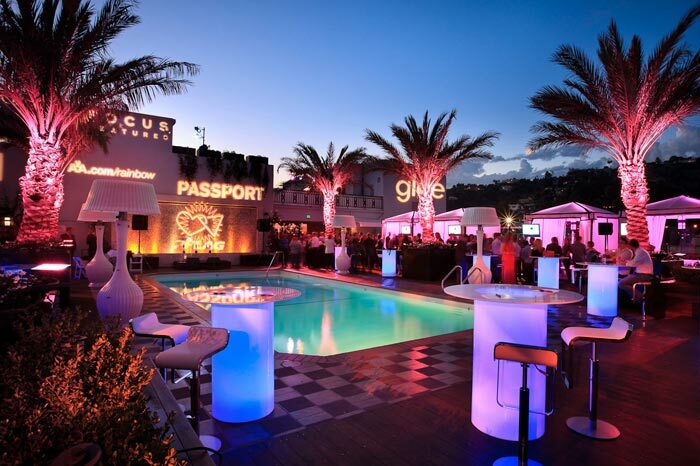 A great venue for pool parties, be it for friends or for business! This is British style fused with a sunny southern Californian twist. The garden-inspired rooftop pool deck offers sweeping panoramic views of West Hollywood and Los Angeles. 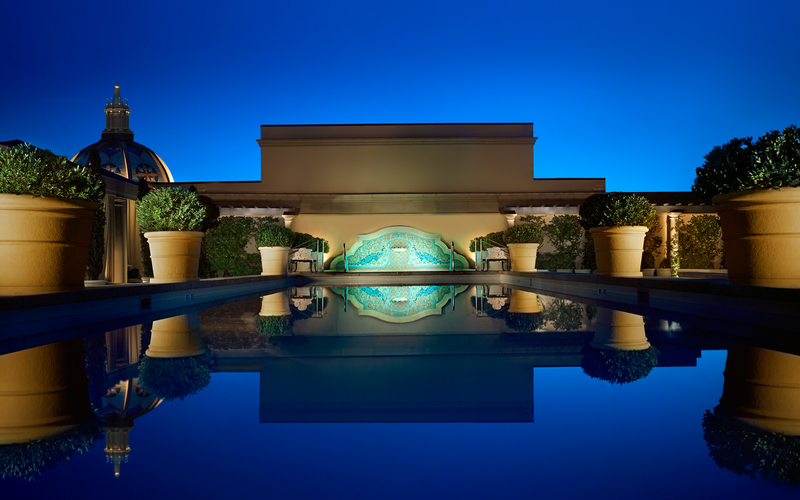 If you are looking for a decadent pool party venue, this would be it. 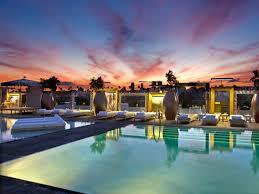 Montage offers pool party guests stunning panoramic views of the Beverly Hills landscape and Hollywood hills. 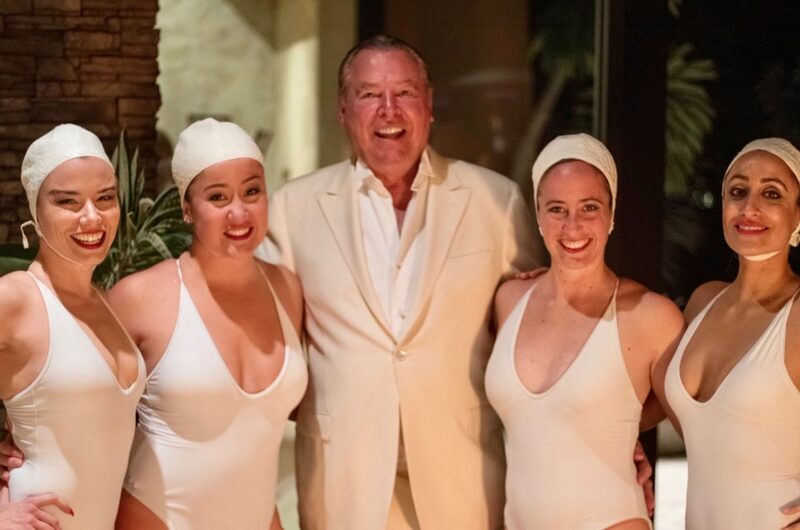 Get your guests to grab a cocktail, and unwind around the pool to a DJ set and Aquabatix USA synchronized swimmers performing in this glamorous pool. This exclusive boutique pool party venue will offer your guests 360 degree views of the Hollywood Hills and a Mediterranean vibe. With a beautiful garden as well, Petit Ermitage will add a touch of class to your soiree. 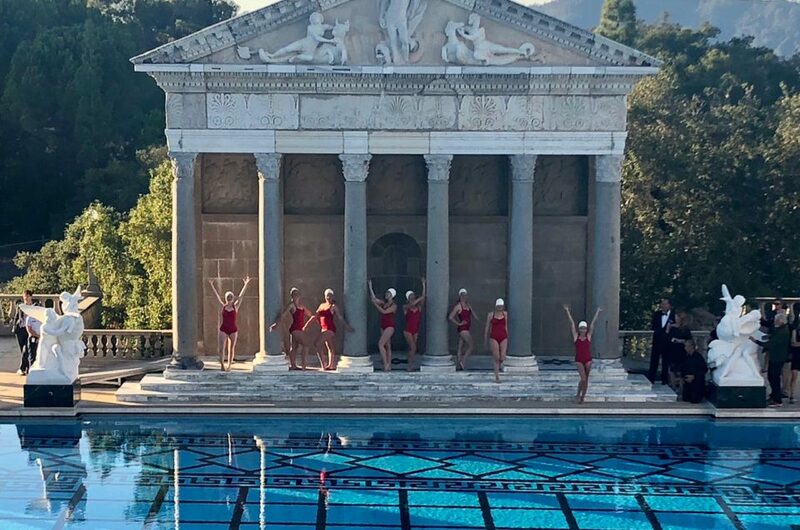 For Aquabatix USA to add a touch of sparkle to your pool party, please contact us on america@aquabatix.com or ring 213.550.5481 today.